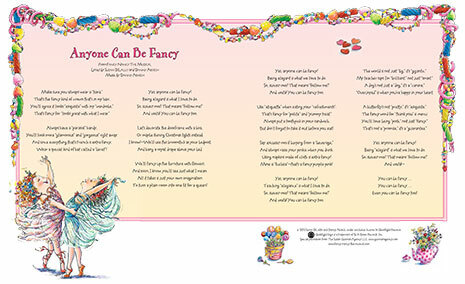 Learn the lyrics (that’s fancy for words) to the song “Anyone Can Be Fancy” from Fancy Nancy: The Musical, the original Off-Broadway show starring everyone’s favorite fancy girl. 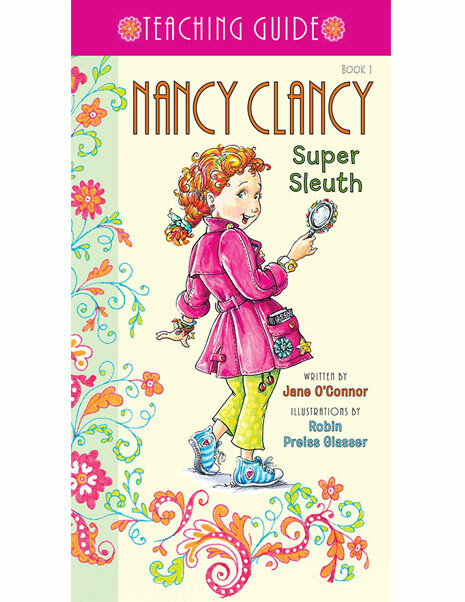 Discussion questions and extension activities tied to Nancy Clancy, Super Sleuth! 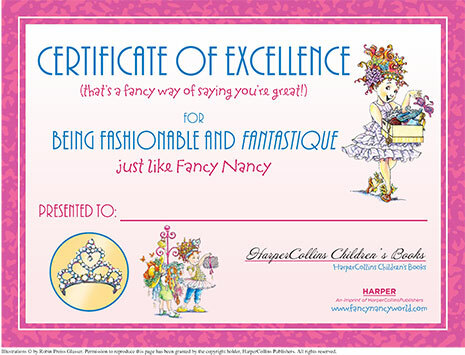 Celebrate your excellence in all things fashionable and fantastique with this printable certificate! 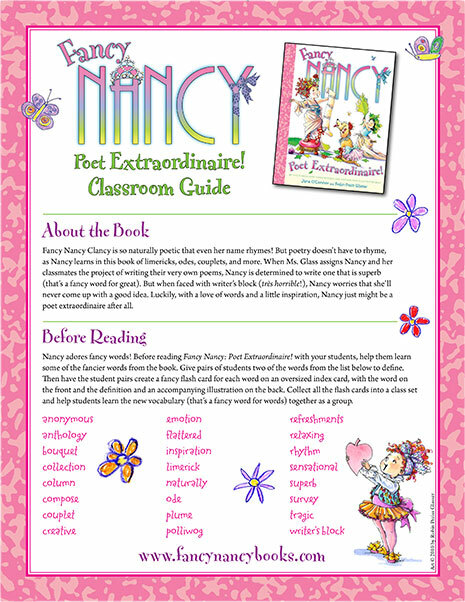 Have you read all of the Nancy Clancy books? 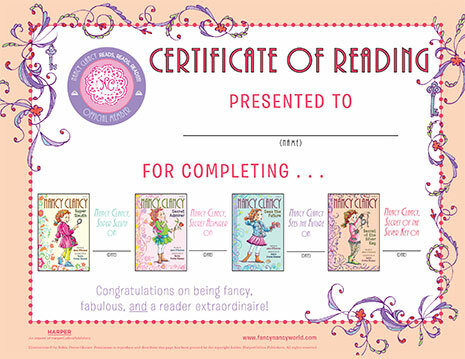 Print an official Nancy Clancy certificate of reading! 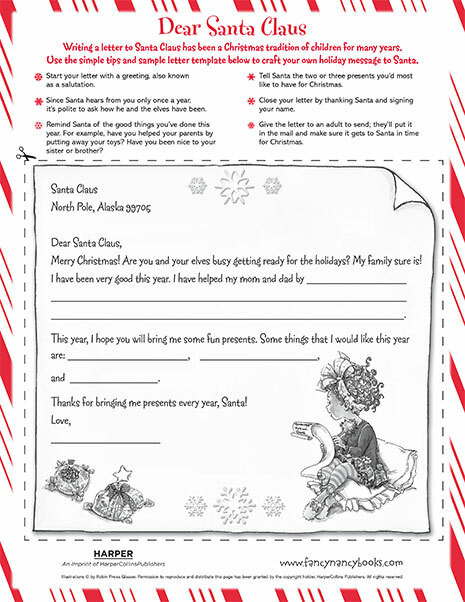 Use this printable letter template to craft your own holiday message to Santa Claus! 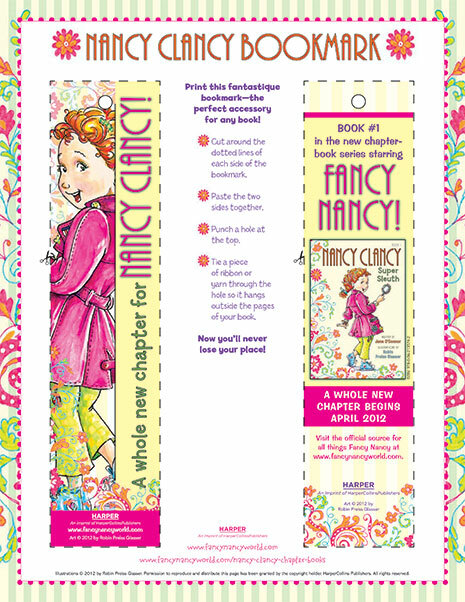 Print this fantastique Nancy Clancy bookmark—the perfect accessory for any book! 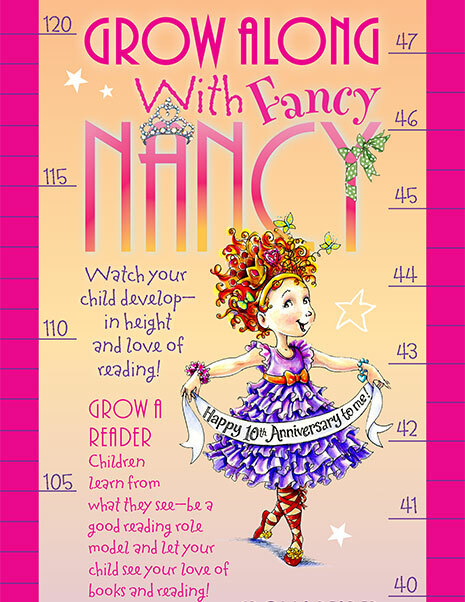 Personalize your library with printable Fancy Nancy bookplates. 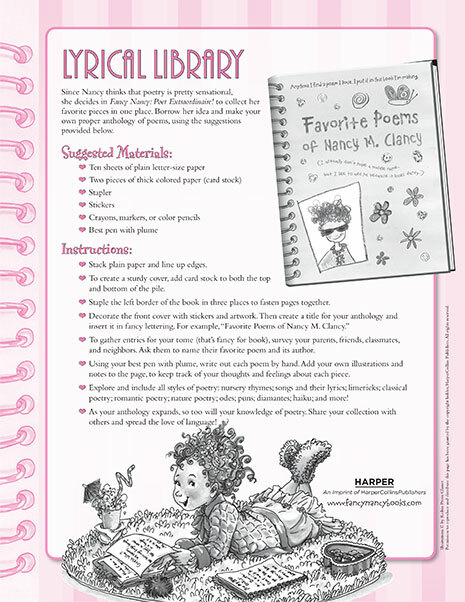 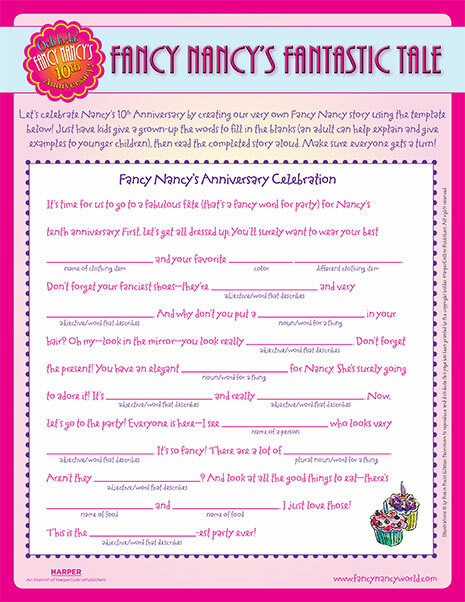 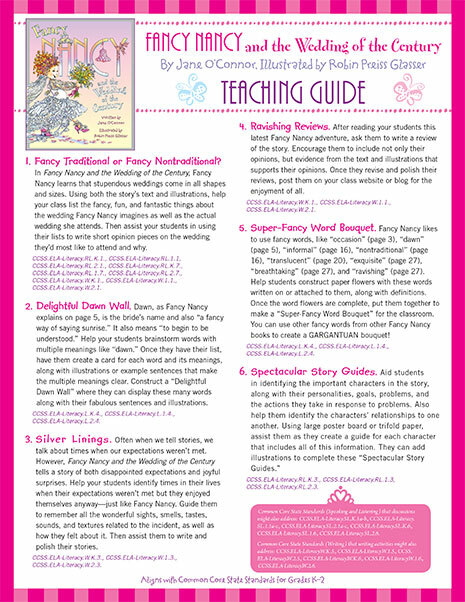 Celebrate Fancy Nancy’s 10th Anniversary by creating an original Fancy Nancy story, using the printable template provided here. 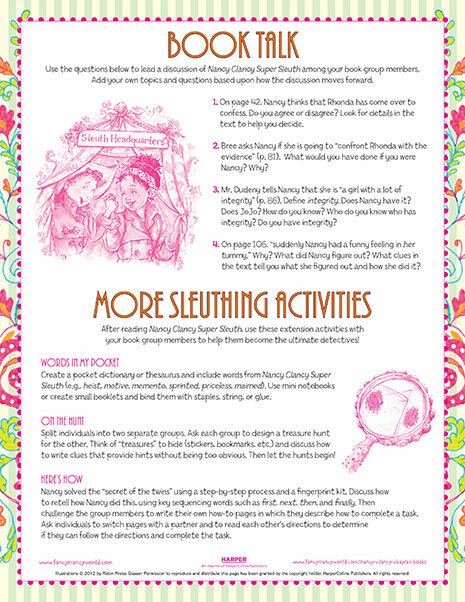 Then, read your completed story aloud to family and friends. 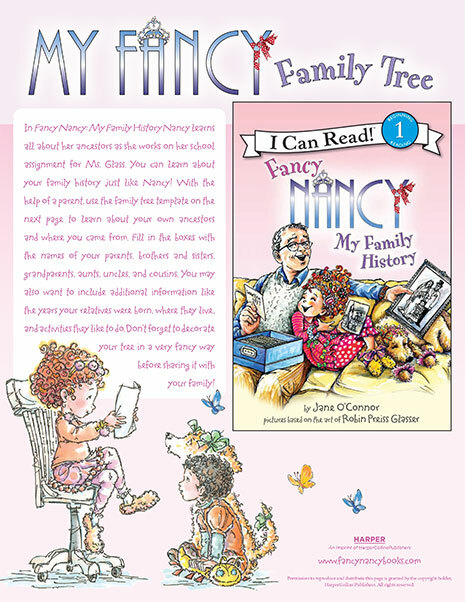 Learn about your ancestors by creating your very own family tree! 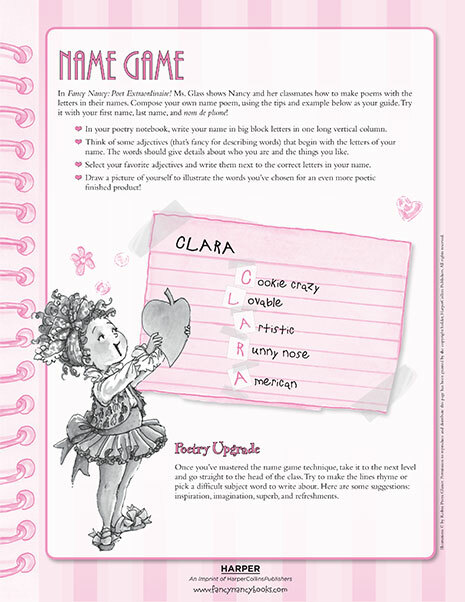 Keeping a diary is great practice if you’d like to become an author one day. 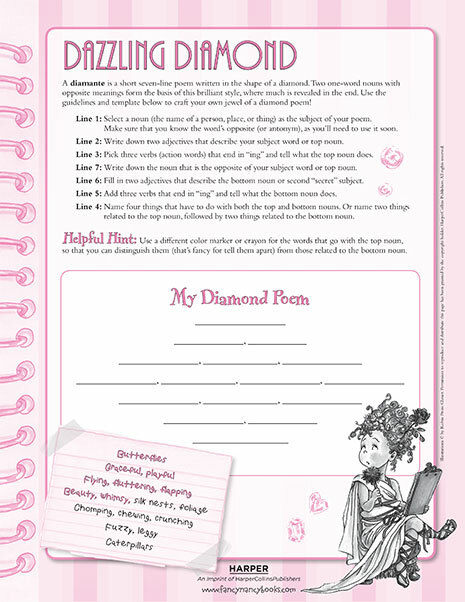 Use the writing prompts in this printable activity to make your first diary entry. 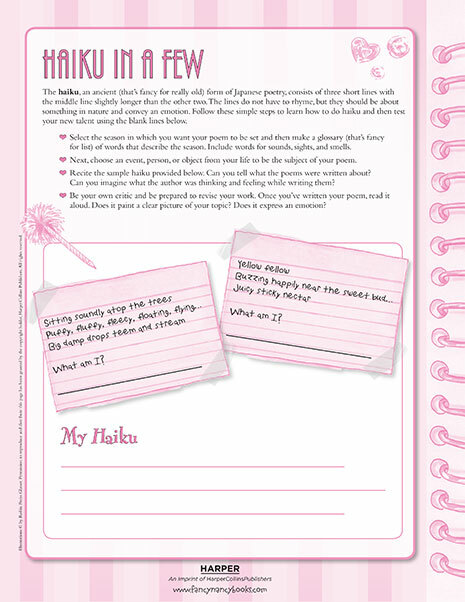 Re-read what you’ve written and be prepared to revise. 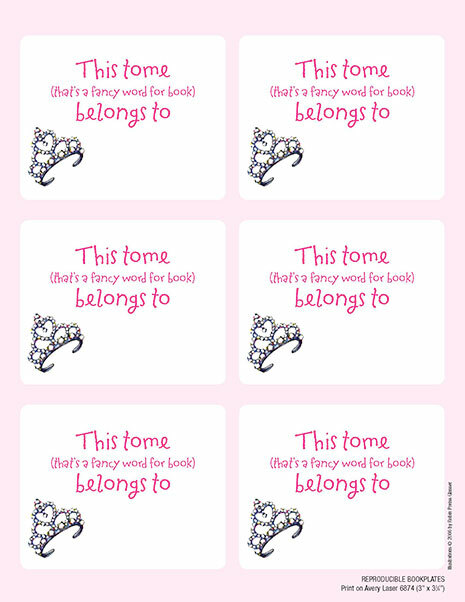 Repeat these steps often, as practice makes perfect! 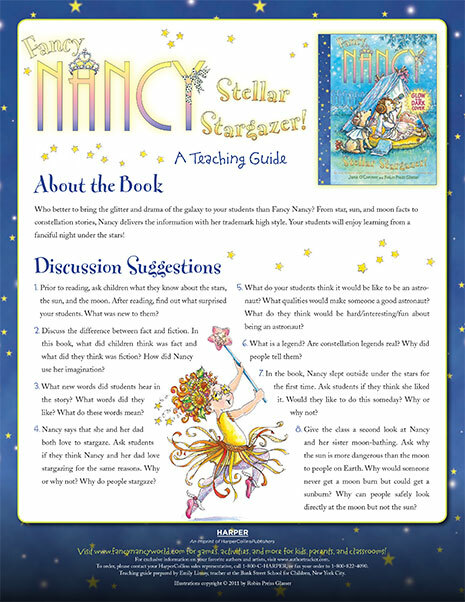 Download this guide, complete with discussion questions and extension activities, to use in your classroom with your students! 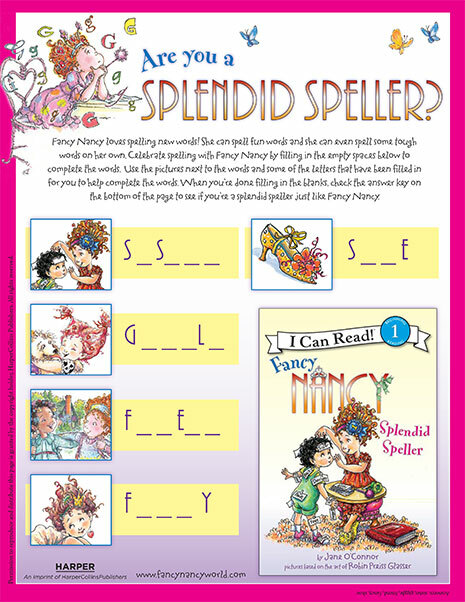 Find out if you’re a splendid speller by helping Nancy complete each of these words!